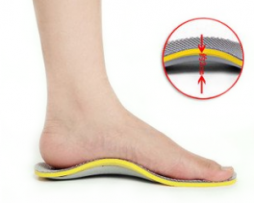 In order for you to know which pair of insoles are best for your flat feet and specific needs, there are a few things that you need to know first before buying! For instance, knowing how to properly check if you have flat feet or not as well as knowing what the main causes and symptoms are of having flat feet is very important and will enable you to be able to pick the right insoles that will support your feet in the right way! In this article, we will share with you information that will hopefully enable you to make better and more informed decision when it comes to picking the right pair of insoles for you. Usually, in your foot, you will find that the middle part of your foot should be slightly raised from the ground whilst the rest of your foot should stay flat on the ground this is what is known as the arch of your foot. However, If you suffer from flat feet or “fallen arches” then this often means that the arch of your foot is either not as high as it should be or is completely flat. The bones in of the feet did not form properly inside the womb. Injury to your foot or ankle can cause the plantar fascia to become overstretched and weakened resulting in the flat feet. Weakened connective tissue caused by syndromes such as joint hypermobility syndrome or Ehlers-Danlos syndrome can also mean that the plantar fascia tissue cannot properly form preventing the development of an arch. Weakened muscles and tissue around the plantar fascia can mean that the arch of the foot cannot properly to support your feet and create an arch. Obesity can often put too much pressure on your arches and cause the plantar fascia to become overstretched and inflamed leading to the arches collapsing as a result. Ill-fitting and un-supportive shoes can also contribute to the arches collapsing. Old age. Over time as you get older our muscles and tendons in our feet may start to get weaker and cause our arches to flatten. Whilst most people with flat feet have no symptoms some people can develop Plantar fasciitis and foot pain. This is because having flat feet can increase your risk of developing biomechanical imbalances in your feet when you walk such as improper gait including overpronation (when your feet roll inwards as you walk), leg and foot alignment problems as well as causing excessive tightness and pressure on the plantar fascia. All of these problems can lead to the overstretching and damage your feet and cause plantar fasciitis and other foot injuries.. Pain and excessive strain and tightness in the feet, low legs, the knees and lower back caused by alignment issues of having flat feet. 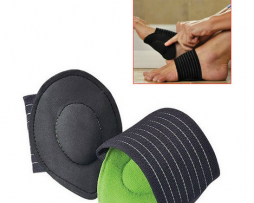 There is a range of different ways that you can take the strain off your flat feet. Wearing supportive shoes and arch support insoles that help to give your feet an artificial arch can help to correct pronation, reduce tightness in your arches and can have a huge difference. Here at NuovaHealth, we have a wide range of insoles specially designed with those with flat feet in mind. 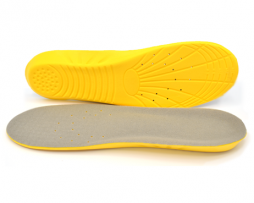 Our insoles have been made to help ease the pressure off the arch and correct biomechanical imbalances. Those who have flat or fallen arches may also have shortened and a tighter than usual Achilles tendons this is because the Achilles tendon is connected to the plantar fascia which means if the Achilles tendon is tight then the arch of your foot is also tight as well. Stretching the Achilles tendon can help to reduce the tightness in your arches. Stretches can be also be done to help strengthen the muscles around the arch of your feet and can have a huge impact! If you are obese and this is what is causing your fallen arches.. simply losing weight can help to restore the arches and help to ease your symptoms. 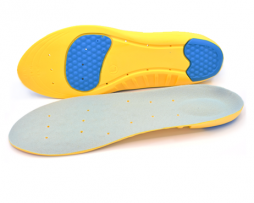 When choosing the right pair of insoles it is important to take into consideration a number of things. Is the arch support too rigid? If you buy a pair of insoles and the arch support is too rigid you will find that the insoles will not be flexible to absorb shocks. 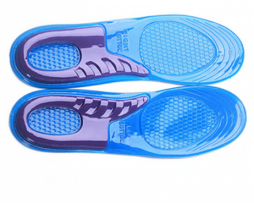 You need to buy a pair of insoles that flex and compress under pressure this will ensure that the shock and pressure are not focused just on your arches but is evenly distributed across your whole foot instead. Insoles that have too ridged arch support also will mean that your feet will have no room to support themselves thus your feet become reliant on the insoles to support them and become very weak without them. Is the arch support too soft? 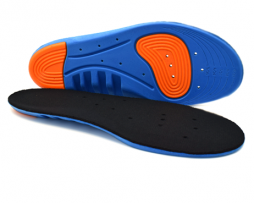 If you choose to buy insoles that provides arch support that is too soft what you may find is that the insoles may initially feel very soft and cushiony to wear the insoles. However, your feet will not be getting the level of support that they require. Something else to consider when buying insoles is to make sure you are buying them in the right size and fit. You do not want to buy a pair that is too big and will make your shoes feel too bulky and tight when you are wearing them because this will make your symptoms even worse. You also do not want to buy a pair of insoles that are too small either as this will mean that insoles will not be stable in your shoes and will slip around and may even cause your problems such as blisters from the friction as your feet to move around your shoes. NuovaHealth insoles are designed to fit your feet properly with guidelines allowing you to cut the insoles to the correct fit. 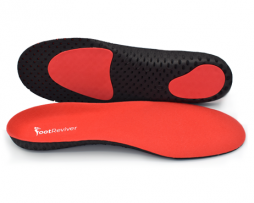 Below you will find a handpicked selection of the very best insoles that have been specially designed by podiatrists to help people with flat feet. All of the insoles below come with a full 30-day money back guarantee. This helps ensure customer peace of mind because if you are not 100% happy with your new pair of insoles you can return them within 30 days to get a full refund including all postage costs, no questions asked! If you have any questions please feel free to contact us here as we are always more than be glad to help.